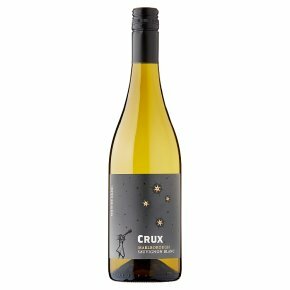 Wine of Marlborough, New Zealand.Crux is a constellation located in the southern sky in a bright portion of the Milky Way, it is more commonly known as the Southern Cross. Crafted to perfection for UK wine lovers, Crux oozes classic Marlborough Sauvignon Blanc charm: Intense tropical fruit aromas and zippy citrus flavours with a refreshing crispness and appeal that, much like the Southern Cross, is the pure essence of New Zealand. A style that can only be achieved by pickling premium Marlborough grapes at their peak of ripeness - star quality that's worth raising a glass to!